If you're partial to a little Jazz the Brit Jazz festival is on so there's plenty going on at Ronnie Scotts, check it out here. Since this is a handpicked list, please don't expect every person twanging a stringed instrument in London this week to get a mention, I try to give you a selection of what I think should be interesting concerts. Of course there is no way that I will have heard of every band or artist who is going to be playing so if you think someone else deserves a mention why not leave a comment and give a recommendation. 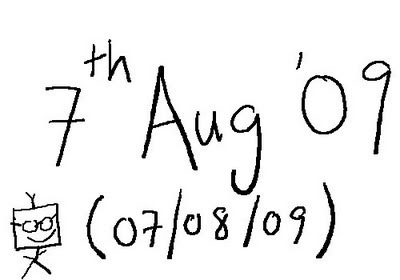 btw on Friday it's going to be 07/08/09 (British dates) and at five minutes past four and six seconds in the morning it'll be 040506070809. I'll stop now.